1.1 Mountaineering (including hillwalking, climbing and rambling) is an activity with a danger of personal injury or death. Participants should be aware of and accept these risks. People who take part in our Club activities do so at their own risk and are responsible for their own actions and involvement. If you apply to join the Club you agree that you wish to take part in the activities despite these risks. 1.2 The Club does not insure members or committee members and does not carry its own public liability insurance. Members should consider obtaining their own insurance and/or should consider the insurance that they can rely upon by virtue of their membership of Mountaineering Ireland. 1.3 Glenwalk is affiliated to Mountaineering Ireland, which is the national governing body for the hillwalking and mountaineering in Ireland. When members join Glenwalk they also join Mountaineering Ireland and have a separate contract and relationship with Mountaineering Ireland. Please refer to Section D below for details about a Glenwalk’s member’s relationship with Mountaineering Ireland and the insurance benefits which Mountaineering Ireland offers its member, including Glenwalk members. 1.4 A leader is a member appointed by the Club or a group of members on a walk to organise and manage the walk on behalf of the Club. All members have a duty of responsibility towards the leader and the group as a whole. This means that each member must not do anything to undermine the authority of the leader nor the safety of the group. 1.5 Listen carefully at the walk start to the address and instructions given by the leader where the walks are described. It is each member’s individual responsibility to should select a walk that matches your ability and fitness level on the day. If in doubt err on the side of caution. 2. It is irresponsible to go on a walk if you are unwell or injured. If you are not in a fit enough condition to do a walk you must not take part. If you start a walk it is a representation to the Club that you are physically fit and there is no health or other reason why you should not participate in the walk that you have chosen. 2.1 Insofar as is possible the group should stay reasonably close together while walking. 2.3 If a walker is unable to continue for whatever reason then the walker must tell the leader and explain to the leader the reason for being unable to continue, the leader will appoint someone of sufficient ability and properly equipped with map etc. to return with them to the walk start. 2.4 Any independent decision to leave the group (i.e. not a decision agreed to by the leader) is the walker’s own decision and the Club is not responsible for anything that happens to the walker upon leaving the group. 2.5 A walker must leave the walk if requested to do so by the leader. The leader will appoint someone to accompany them if the leader deems it necessary, e.g. if a considerable distance has been covered since the walk start. 2.6 If a walker wishes to stop (e.g. to put on leggings etc.) while the main group is walking they must inform the leader or back marker. The back marker is a member that the leader appoints to walk at the very back of the group to keep the group together and he or she carries out that role on behalf of the Club. The leader will then decide if it is necessary/appropriate to stop the group. 2.7 Walkers must follow all reasonable instructions from the leader or back marker. Bear in mind that the leaders and or back markers are all volunteers and should be respected as such. 2.8 The leader has the right to refuse anyone who is not adequately equipped (see next point) or anyone who in the leader’s opinion is unfit to walk from joining the walk and he makes that decision on behalf of the Club. The leader has the right to extend, curtail or alter the route from that described at the walk start. The leader sets the pace of the hike and walkers are expected to follow this pace, assuming that the pace set is reasonable for the walk level. 2.10 A walker is responsible for keeping their own property safe on a walk or travelling to a walk. 2.11 All walkers should have a torch with a battery, a back up battery and spare bulb. 2.12 All walkers should have a whistle, which should be used to attract attention. Bear in mind that whistles can only be heard over a short distance. 2.13 Whistle: 6 blasts per minute in rapid succession indicates distress, 3 per minute to respond. 2.14 All walkers should have a backpack with adequate food and drink for a day on the hills. 2.15 It is recommended that walkers purchase an Ordnance Survey (OS) map Sheet 56 (laminated) of the Discovery Series. It will be useful for finding the walk start. 2.16 All walkers should learn how to read a 6 figure OS grid reference number. Most of the walk starting points are given as grid references. 2.17 All walkers should have a watch and should also familiarise themselves with the latest weather forecast. 2.18 All walkers should bring a mobile phone with them, preferably with GPS. Phones should have “ICE” contacts with details of who to phone in the case of an emergency. 2.19 Note that in an emergency a Text Message/SMS may get through where when a phone call won’t. 3.1 Please click here for more information. 4.1 This forms part of your Agreement with the Club. Please click here for more details. 1.2 The name of the Club shall be “GLENWALK” Hereinafter referred to as “the Club”. 1.3 The address of the Club shall be: info@glenwalk.com and the address of the current club Secretary. 2.4 To support the work and activities of the Mountaineering Council of Ireland. 5.1 Election of Officers: Nominations, accompanied by proposer and seconder, to be forwarded to club Chairperson at least 14 days before the AGM. The list of candidates shall then be emailed to the members. Voting shall be carried out by secret ballot at the AGM. Members unable to attend may vote by proxy, ie. postal or e mail. The Chairperson shall keep a record of proxies received and ballot papers distributed to members. Proxy votes to be sent to the Chairperson at least 48 hours before the AGM. Election shall be by simple majority. If a candidate is unopposed they shall be deemed elected. Up to 7 club members can be elected to the Committee at AGM. 7.2 Notice of every General Meeting shall be given to every member of the Club, by e-mail at least 28 days before the meeting. Items for inclusion in the agenda of the General Meeting must be submitted to the Chairperson not less than 14 days before the meeting. Such items shall then be immediately emailed to the members. 13.1 Please note that no matter when you join, your membership expires on 31st October. Refund Policy: In exceptional circumstances, a membership refund may be given at the discretion of the Committee. Any application for a refund should be made in writing and the reasons for the application given. 13.2 Where the Glenwalk Website contains links to other sites, advertisements and /or resources provided by third parties, these links are provided for your information only. We have no control over the contents of those sites, advertisements, resources or the third parties that provide them, and the Club accepts no responsibility for them or for any loss or damage that may arise from your use of them. The display of such inks to other sites, advertisements and /or resources does not in any way imply a recommendation or endorsement by the Club of the relevant advertiser, its products or services or any such linked website. 13.3 The Club is managed by a voluntary Committee (max 7 members) who are elected at the AGM in September. Any act that a Committee member takes in connection with the Club is done on behalf of the Club and not in his/her personal capacity. 13.4 To the extent permitted by law, you agree that neither you, or anyone associated or connected with you will make any claim against a leader, back marker or Committee member in their personal capacity in respect of any injury suffered by you or any damage to any of your property regardless of how the injury or damage occurs. 13.5 To the extent permitted by law, the Club expressly excludes all conditions, warranties and other terms which might otherwise be implied by statute, common law or the law of equity. To the extent permitted by law, the Club expressly excludes any liability for any direct, indirect or consequential loss or damage incurred by a member in connection with this Agreement, including, without limitation any liability for loss of income for any other loss or damage of any kind, however arising and whether caused by tort (including negligence), breach of contract or otherwise, even if foreseeable, provided that this condition shall not prevent claims arising from the Club’s negligence, fraud nor any other liability which cannot be excluded or limited under applicable law. This shall not affect your statutory rights. 13.6 All members must be over 18 years of age when applying for membership. 13.7 You may start walking with us as soon as you get confirmation by email that you application for membership is accepted. The Club walks will be listed on the website under “Calendar”. Non members cannot join walks organised by the Club. 13.8 We don’t issue “Glenwalk” membership cards, however you will receive a Mountaineering Ireland membership card from the Mountaineering Ireland about 2 to 3 months after joining. As the Club name will be on the Mountaineering Ireland card we generally accept this as evidence of your membership of the Club. Bring the card with you on walks. Do not give your card to any one else under any circumstances. You are responsible for any use of your card by a person. 13.9 Members pay online on the part of the Glenwalk Website operated by Realex by using of laser card (debit card) or by specified credit card. We use Realex to assist with our payments. When you pay online on Glenwalk Website you instruct Realex to effect your payment online. The Glenwalk Website does not record your credit card details and none of the Glenwalk committee members will be able to see your credit card details. If you do not have a laser card (debit card) or credit card, 3V vouchers (prepaid VISA numbers) can be used. These can be purchased by anyone who has the use of a mobile phone and an email address throughwww.3v.ie . 13.10 Please see www.realex.ie and www.3v.ie for the terms and conditions that apply when you process payment in this ways. We are not responsible or liable for your use of Realex, 3V or any other payment processor that you choose to use to pay for your membership application or for any Glenwalk trip. 13.11 You warrant that any information that you give to Glenwalk when applying for membership is true and complete. 14.1 All members must read and abide by the Club Constitution and Guidelines, and this Agreement. 15.1 From time to time various members organise walks/events on alternative days during the week/weekend. Please note that as these are NOT official “Glenwalk” activities the Club accepts no responsibility or liability for them. Examples of such walks are walks on alternate Sundays; Saturday Walks; Wednesday Walks organised during the Summer etc. These and other events are usually e-mailed by the organiser to the Chairman who then forwards them to you on behalf of the organiser. There are NO CAR POOLS for alternative walks. 16.1 Club members organise various social events throughout the year such as the Xmas party, Barbecue, Mulled Wine Walk etc. These events will be advertised on the website and you will also be sent emails informing you of the details. We also meet with our friends of Glenans Sailing on the last Wednesday of every month in Doheny and Nesbitt’s, Baggot Street (upstairs). Please note that as these are NOT official “Glenwalk” activities the Club accepts no responsibility or liability for them. These and other events are usually e-mailed by the organiser to the Chairman who then forwards them to you on behalf of the organiser. 17.1 The Club has a pool of camping gear and climbing gear for use by its members. Please contact the Committee for details. Note that all equipment is used entirely at the member’s risk and that the Club accepts no responsibility or liability for faulty equipment or for any accident that may occur while using this equipment. Please examine equipment carefully before use to ensure it’s not faulty. 18.1 Glenwalk is affiliated to Mountaineering Ireland, which is the national governing body for the hillwalking and mountaineering community in Ireland. 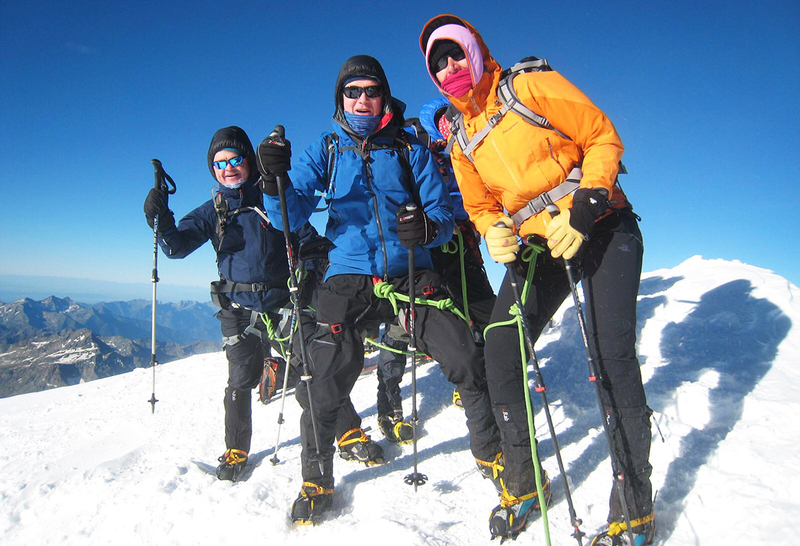 When members join Glenwalk they also separately join Mountaineering Ireland and have a separate contract and relationship with Mountaineering Ireland. Please refer to www.mountaineering.ie. 18.2 By virtue of your membership of Mountaineering Ireland only, not of Glenwalk, members benefit from insurance cover obtained by Mountaineering Ireland and for further information in relation to insurance members should contact Mountaineering Ireland. For the purposes of Mountaineering Ireland’s insurance, Mountaineering Ireland has informed Glenwalk that its members cannot rely on the scrambling/rock climbing component of its insurance. 18.4 As an agent for Mountaineering Ireland we will provide you with updates that Mountaineering Ireland ask us to pass on to you via the Glenwalk Email Distribution List. 18.5 Where this Agreement contains links to Mountaineering Ireland these links are provided for your information only. Glenwalk has no control in relation to your agreement with Mountaineering Ireland and accepts no responsibility for them or for any loss or damage that may arise from your contract with Mountaineering Ireland. 18.7 The period of membership of Mountaineering Ireland is the same as the membership of the Club (November 1st to October 31st each year). 18.8 All members of Mountaineering Ireland will receive the Mountain Log hill walking magazine, issued by Mountaineering Ireland (3 editions). 18.9 If you are already an Individual Member of Mountaineering Ireland you may have to rejoin Mountaineering Ireland through Glenwalk. This is because the dates of Individual Mountaineering Ireland Membership are rarely concurrent with those of Glenwalk Membership and you might therefore not be insured. Please contact Mountaineering Ireland if you have any questions or for confirmation of this information.